Alicia is no stranger to Painting with a Twist. 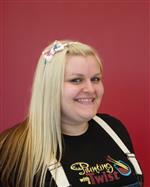 She is ecstatic to start the next chapter of her career at PWAT DeWitt. 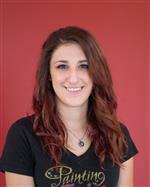 A recent graduate of Oswego State University with a BA in both History and Studio Art, she is furthering her education in Museum Studies at Syracuse University. She has hopes of being a Museum Curator upon graduation. Alicia’s old soul is sunshine on a cloudy day - she lights up her classes with her smile and ability to make everyone comfortable! Alicia has a natural gift of helping others unlock their inner artist and loves to help all skill levels leave with surprisingly beautiful masterpieces. 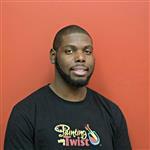 Brandon, the PWAT DeWitt Hip Hop Expert and closeted sneaker addict...is a charismatic, fun loving, energetic artist. Born and raised in Syracuse - Brandon is a well rooted artist of many talents! His love of art has given him the courage to work with so many mediums including: Graffiti Art, Painting, Fashion, Dance and his favorite Film Editing! A graduate of ITT Tech in Visual Communications, Brandon continues to strive to use art in his daily life. When he is not on the PWAT DeWitt stages...you can catch him teaching Hip Hop, behind a computer creating cinematic genius, sneaker shopping, taking long walks down paint aisles or spending time laughing with his family and friends! 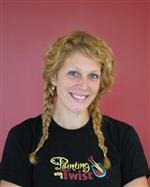 Emily is a very high energy-quick witted Artist, who is always smiling and laughing. Once a quiet caterpillar, now a fluttering social butterfly, the idea of using art and creativity to help others overcome stress and anxiety is what brings Emily to our studio. Her adaptability is sure to make studio goers from all parts of life feel like part of the fun. Whether assisting a fellow artist or on the stage Emily’s self-expression and fun loving personality is one you will never forget. 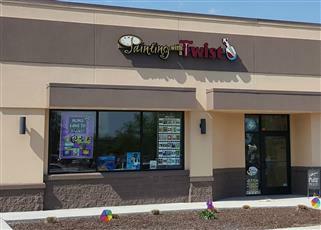 Jack has been with Painting with a Twist since 2014. He is excited to jump on to the stages of the DeWitt studio and start teaching all of his favorite PWAT pieces and get the party started! Jack is a 2005 graduate of Onondaga Community College with a degree in graphic design. 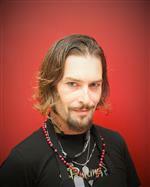 Besides being an artist, Jack is a musician and plays guitar in numerous local bands. Jack is influenced by the works of Vangogh, Gustav Klimt and Andy Warhol. His love of painting is matched only by the love he has for his son, Dylan. Megan is an art-loving, momma of two, crafty kind of gal that loves to laugh and have fun! 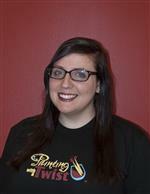 Thanks to The College of Saint Rose, she has a BFA in Graphic Design, a strong foundation in the arts, and now, a super awesome job instructing for Painting with A Twist! If you’re looking to have some fun, come party—oops! we mean paint with Megan! Meg grew up in the Syracuse area creating art with her many rescue animals as studio "helpers." Her love of art and animals stayed with her in college where she studied studio art and biology that lead to a master's degree in medical illustration. She is now a freelance illustrator, her favorite commissions being pet portraits. 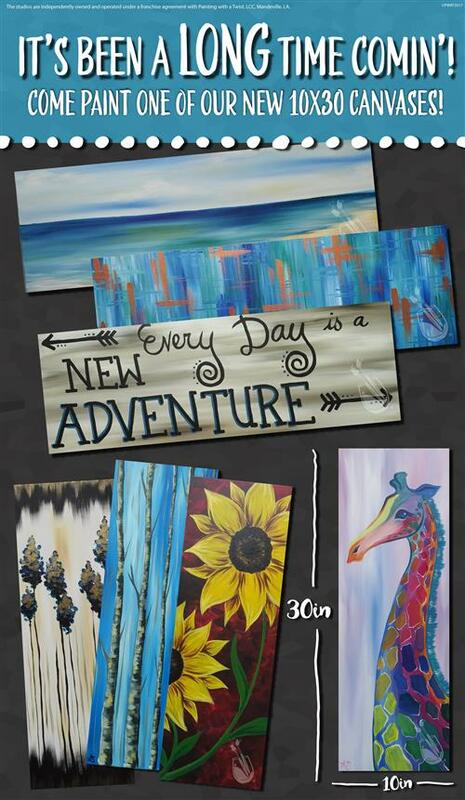 She loves making art for friends and family and can't wait to start painting with new friends at Painting with a Twist! Mary is a wannabe dog mom who recently graduated from Cazenovia College with a Bachelor's in Fine Arts degree in Studio Art-Photography. In Mary’s BFA senior capstone and exhibition, she portrays individuals who use the creative process of making, both cathartically and therapeutically. 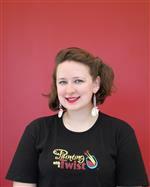 She is delighted to be working at Painting with a Twist where she creates a fun place for people to let loose and pARTy as their creativity flows from the paintbrush to the canvas. Mary also enjoys working as a freelance photographer and is excited to start a new journey with a friend as they begin their own Wedding Photography business in Syracuse. In her free time, Mary enjoys painting, traveling, hiking, crocheting, and volunteering locally as a Young Life Leader.